We think it’s too much. Join us to discover and share meaningful activities for our kids. We are a group of parents. 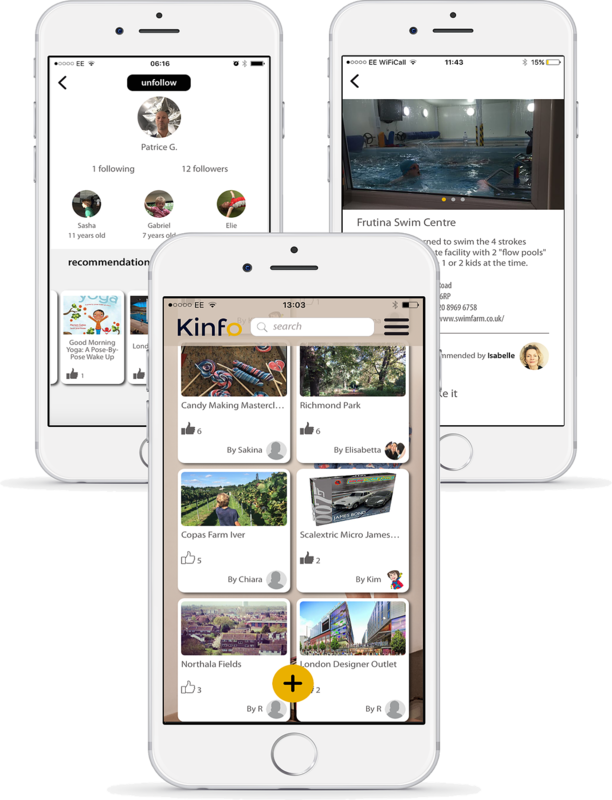 We have developed the Kinfo app to help us find meaningful, fun, enriching activities that our families will enjoy. Every recommendation on Kinfo has been tested by real kids and approved by real parents. Discover relevant activities for all your kids. Or for one. Because families can be big or small. Access local knowledge by local families who know where to go and what to do. Because if their kids love it, yours might too. Trust parents that have tested activities already. Because you don't want to be disappointed.